Keerthy Suresh's Mahanati has collected Rs 5.90 crore gross at the worldwide box-office on the first day. The Naga Ashwin-drected biograpical movie has earned Rs 3.27 crore for its distributors on its opening day. Keerthy Suresh's Mahanati has openeed to fantastic response at the worldwide box office on the first day. The movie has made better collection in the US than in Andhra Pradesh and Telangana (AP/T). Mahanati is a biopic on the life of South Indian actress Savitri, who took the film industry by storm in the late '50s and '60s. The movie is also made simultaniously in Tamil as Nadigaiyar Thilagam. The film, which has decent hype and promotion, was released in cinema halls in the Telugu states and the US on May 9. It is scheduled for grand release in outside the Telugu states on May 11. The Naga Ashwin-directed biograpical movie was premiered in over 150 screens across the US on Tuesday (May 8) and it received fantastic response everywhere. Mahanati collected $303,456 at the US box office in the preview shows and became the fourth biggest Tollywood opener of 2018, beating Naa Peru Surya. Idlebrain Jeevi tweeted, "#Mahanati collects $303,456 from 143 USA locations with per location average of $2,122. 4th biggest premiere number for Telugu film in USA this year after #Agnyathavasi, #BharathAneNenu & #Rangasthalam "
The Keerthy Suresh starrer received positive response from the audience in the US and the word of mouth helped it fare well on Wednesday. Mahanati collected $202,000 at the US box office on the first day, taking its total to $505,456 (Rs 3.40 crore gross) in the country. On Thursday, the movie is set to beat the record of Naa Peru Surya, which has $698,000 at the US box office in six days. 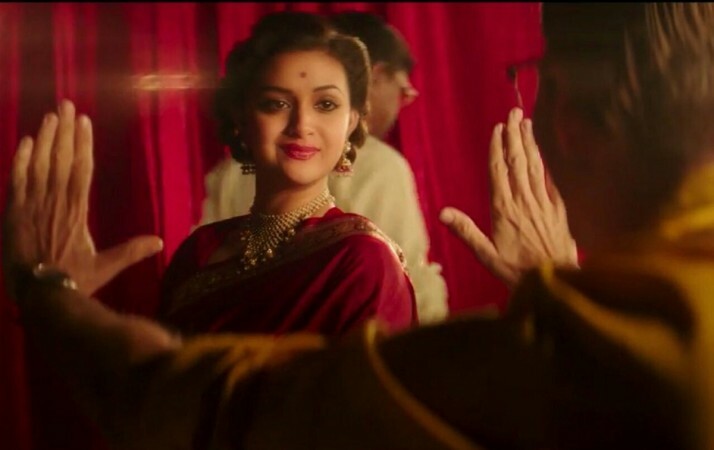 On the other hand, Mahanati was released in a limited number of screens in the Telugu states on May 9, as it faced unavailability of theatres due to big-ticket old releases. Having good advance booking, the movie garnered superb response with many cinema halls registering 100 occupancy on its opening day. Mahanati has collected Rs 2.50 crore gross at the AP/T box office on the first day and its global total collectio stands at Rs 5.90 crore gross. The theatrical rights of its Telugu and Tamil versions were sold for a whopping price of Rs 20 crore and the movie has earned Rs 3.27 crore for its distributors on its opening day.